Style: Accessories with Happiness Boutique. 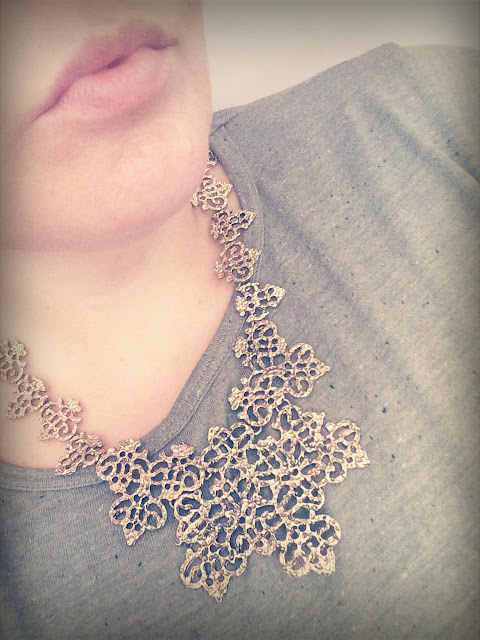 There is nothing I like more than a big old statement necklace. I just love how they instantly lift an outfit. 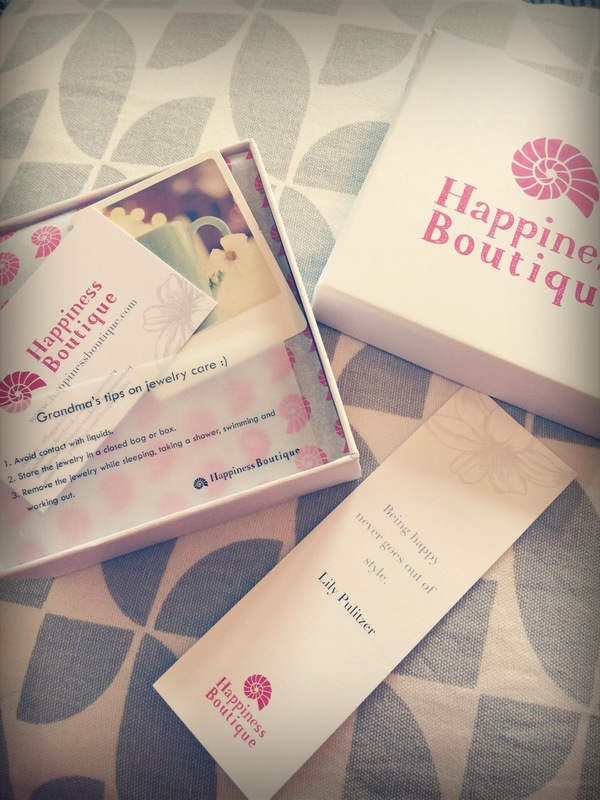 I was contacted recently by a site called the Happiness Boutique. 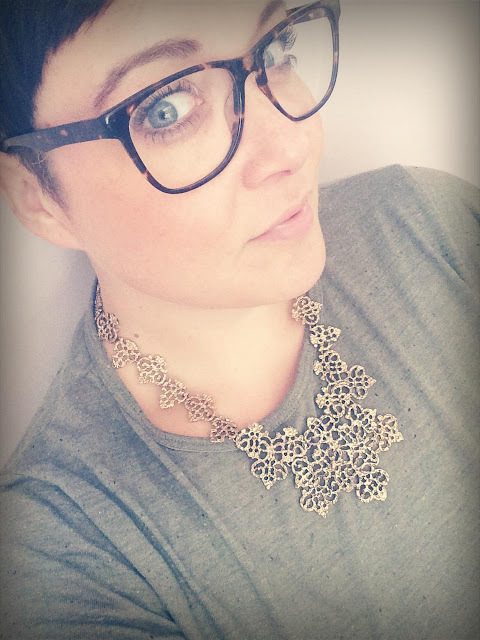 They have a huge range of costume jewellery, accessories and clothing and with free worldwide shipping there is no excuse to treat yourself to something pretty! Now to say I'm a sucker for a good bit of packaging is an understatement. I LOVE a good bit of packaging. I just think it elevates a brand from the same old thing to something really special. 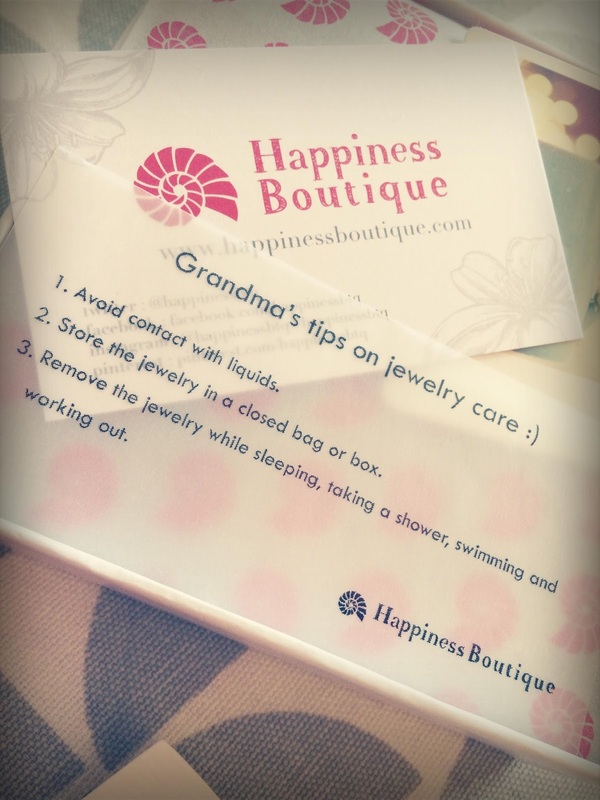 And I was not disappointed by the packaging from Happiness Boutique. My goodness it's just so pretty and helpful! I loved the little advice cards and inspirational messages. It makes you, as a customer, feel valued and that is key nowadays when the market is flooded with a tonne of online stores. Packaging excitement aside, let's get down to the product. I opted for this gorgeous ornate yet chunky gold lace textured necklace. I love the intricate pattern and the shape of it on the neckline. It's a sturdy piece but not too heavy to wear. I've worn it several times this week, with casual and more dressy outfits. It's a really good all-rounder. 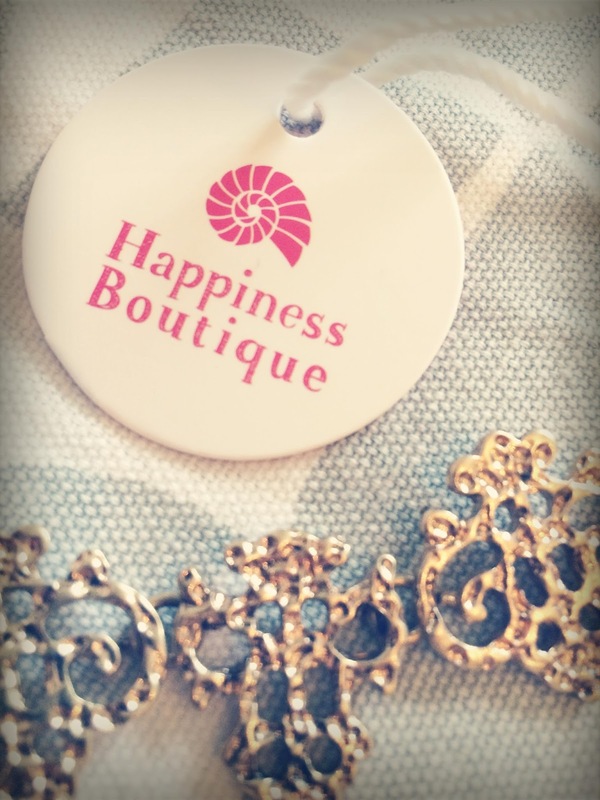 I am definitely going to be checking out more items from Happiness Boutique, they've got a vast selection all at really great prices and as mentioned before, free worldwide shipping. How amazing is that!